The black pomfret, Parastromateus niger, is a species of carangid native to reefs of the Indian Ocean and the western Pacific Ocean. Scientific name:Parastromateus niger. 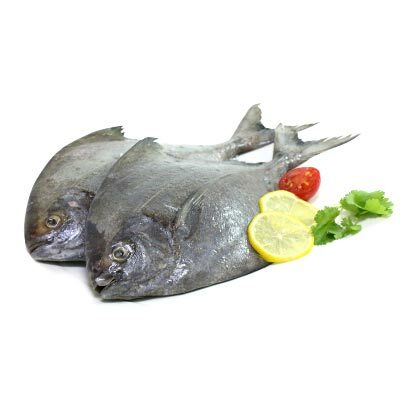 AHA (American Heart Association) recommends this fish for its good content of Omega 3.Pomfret fish is high in Vitamin D. In general contents it contains lots of essential minerals like Iron, Zinc,Iodine and Selenium. 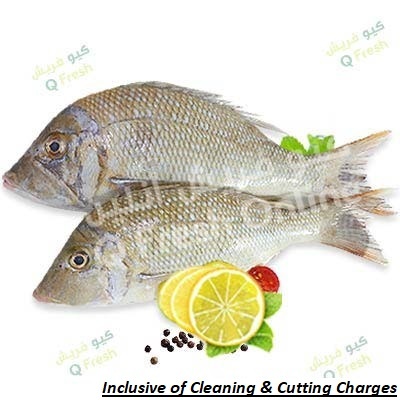 It is also a good source of Vitamins which maintains a healthy body.Order your fresh Fish online from QFresh. Crab meat is packed with essential fats, nutrients, and minerals that the human body needs to function normally. From selenium and omega-3 fatty acids to protein and vitamin B. Scientific name:Brachyura. Crabs are found in all of the world's oceans. 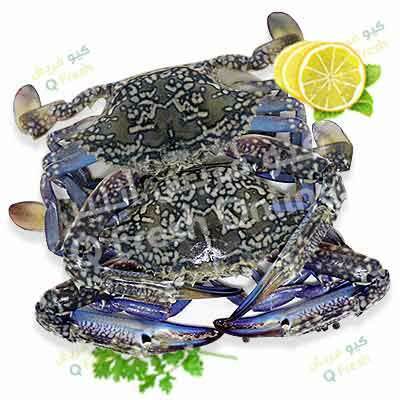 Crabs are prepared and eaten as a dish in several different ways all over the world. Crab meat is a very good addition to your diet. 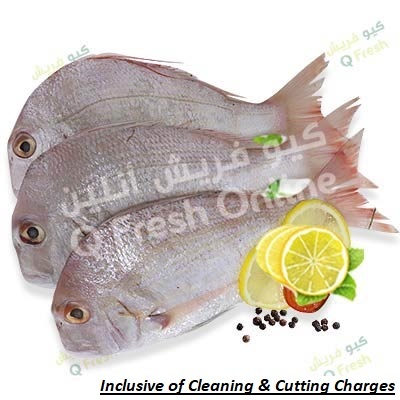 Order your fresh Fish online from QFresh. 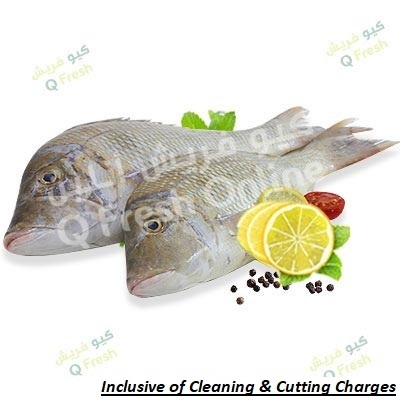 Order your fresh Fish online from QFresh. This species is widespread in the tropical Indo-West Pacific, from the Red Sea&the east coast of Africa,east to Samoa, north to Japan&south to Australia. Scientific name:Lethrinus nebulosus.The Sheri is mainly caught by handlines&traps. It is a prized food fish,highly important to fisheries&common in markets.The Spangled Emperor occurs in a variety of habitats from coral assemblages to seagrass beds&mangroves,and is found from very shallow water. 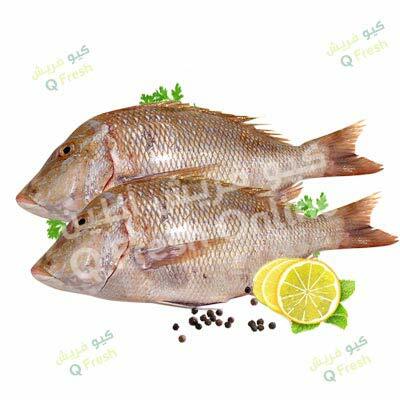 Order your fresh Fish online from QFresh. The Two Bar Seabream is another great option. Called Faskar in Arabic, this fish also likes to huddle around the reef at depths between 2 and 20 meters. Order your fresh Fish online from QFresh. Known as king soldier bream, Bowen snapper, frying-pan snapper, frypan bream, long-spined red bream, longfin snapper, longspine seabream and red bokako. It is a species of fish in the family Sparidae. Scientific name: Argyrops Spinifer. 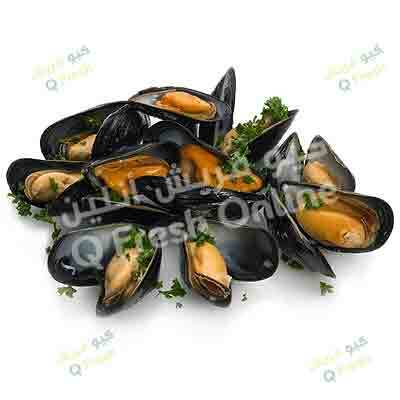 It is used as seafood and can be found in the Red Sea, Eastern coast of Africa and northern Australia. Order your fresh Fish online from QFresh. Fish Contains Nutrients that are crucial during development. Omega-3 fatty acids are absolutely essential for growth and development. The omega-3 fatty acid docosahexaenoic acid (DHA) is especially important, because it accumulates in the developing brain and eye. 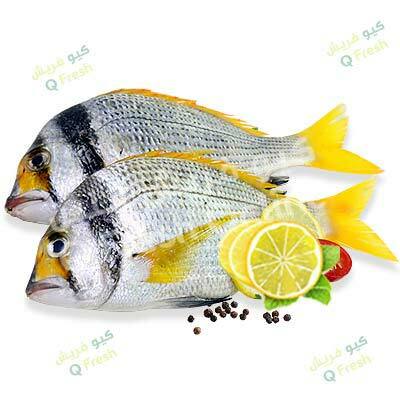 Order your fresh Fish online from QFresh.